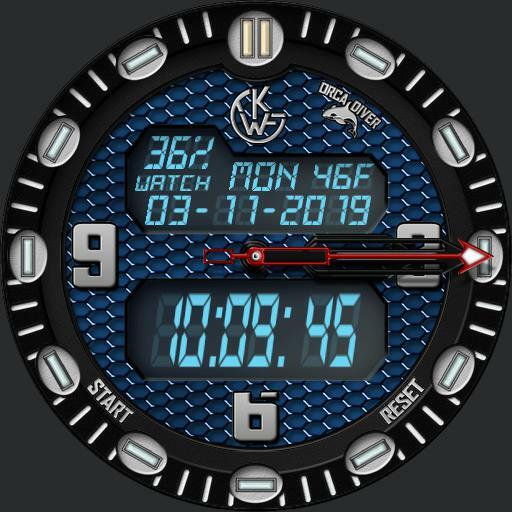 Tap Logo to cycle dial colors. Tap 9 area to choose blue or green dim mode lume. Tap between 1 and 2 area to cycle hand colors, black or silver. Tap 3 area to cycle dim modes, Always On, Off, On Normal and Auto Always On. Tap between 10 and 11 area to park hands. Tap lower LCD panel center to cycle functions. Seconds hand is phone battery level indicator on dim.